Located on the Current River, Cave Spring has a long history of usage as a fishing, picnicking and canoe rest spot, but has never been commercially developed. The spring rises a short canoe paddle into a large cave opening on the Current River, from a vertical shaft 140 feet deep. The spring itself is a favorite fishing spot. During underwater survey, a Native American dugout canoe was discovered on the bottom of the spring. 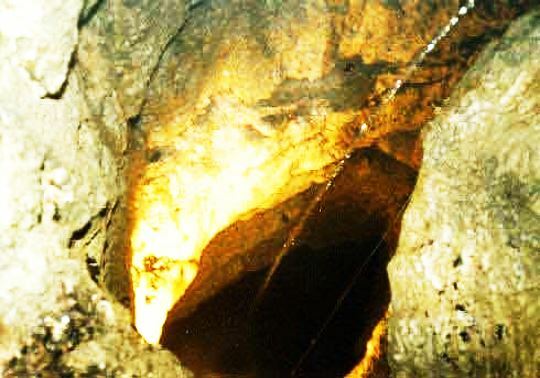 One of the recharge areas for Cave Spring has been traced to Devil’s Well. 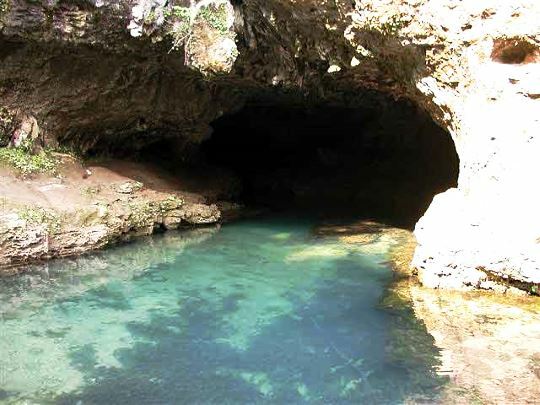 Located off Route KK near Akers, this is a sinkhole opening into an underground lake larger than a football field! A steep, gravel road leads to Devil’s Well, where visitors may look through the karst window to the water from a viewing platform. In the late 1960’s, Devils Well was mapped by Ozark Spring Studies, an effort which required 62 weekends of trips by divers, cavers and mappers. Devils Well was purchased by the National Park Service in 1974.